Steal toed boots are an excellent investment for anyone working in the industrial sector or just anyone looking for more protection across their toes in their day to day life. Making sure you get the correct pair of shoes, though, for your feet is critical. Feet are the basis of our orthopedic health so it is crucial that we take good care of them, this before we even consider how dangerous it can get working on a construction site, or in a warehouse. Working in these sorts of conditions you’re bound to drop something on your feet, and you need to be ready for when this happens. Related: Best Tactical Boots in Review. 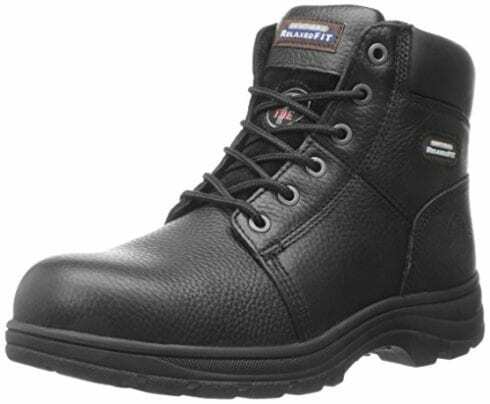 View the Best Steel Toe Boots, Below. 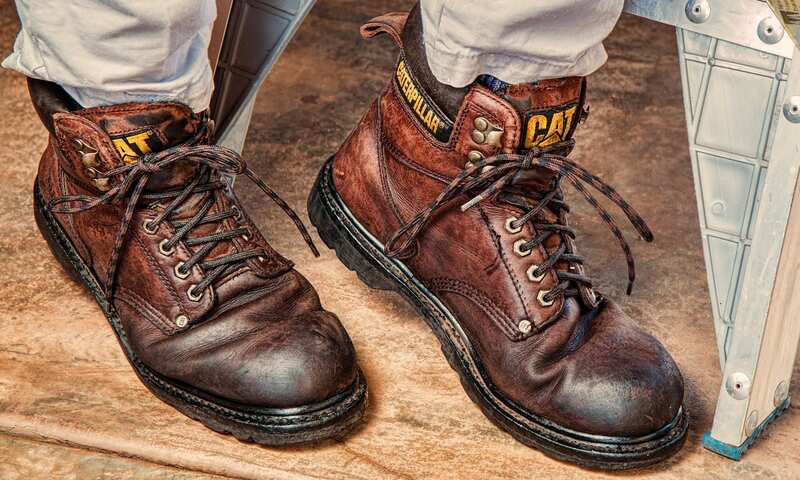 How to make your Steel toe Boots fit like a Dream? How to care for your Steel-Toed Boots? In this article, we’ll be reviewing which steel-toed boots we think are best for keeping you and your feet free from pain all day long while you work hard! These Caterpillar Men’s Second Shift Steel Toe Boot are a brilliant rugged classic pair of boots which are an excellent new model from one of the worlds leading heavy equipment manufactures. Featuring 100% leather and a rubber sole, you’ll be comfortable and safe in these steel-toed boots thanks to their plush collar and tongue. There’s also an oil-resistant traction outsole which is just another great sign of how well these boots are made. Great for anyone working in commercial demolition, you’ll be able to walk around comfortably and safely on any terrain such as concrete, dirt, mud, metal and who knows what else you’ll be able to discover it for yourself! Who doesn’t love a good boot from Timberland? Because we love them and this PRO Direct Attach looks just like the original 6-inch Timberland boot but with a lot more extra features to help us stay as comfortable and as safe as possible at work. There’s Timberland’s feature Waterproof insulation around its rugged boot that helps you stay comfortable with a smart touch. There are even 400 grams of insulation to help you stay warm while you work. As well as non-marking rubber for traction to help keep you on your toes throughout the day. 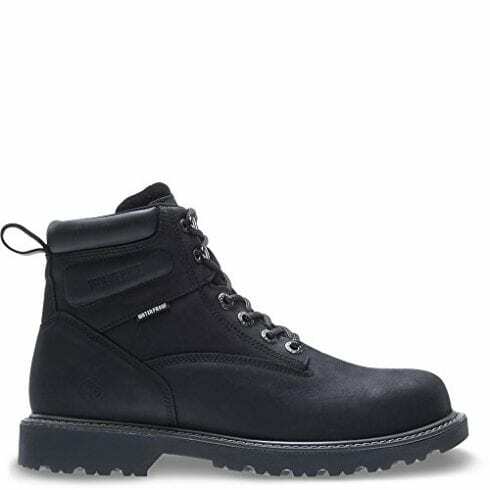 These boots are fantastic for those who work outside. Thanks to the non-slip bottom and steel toe you’ll easily be able to wear these boots for long periods in cold temperatures without your feet getting cold. The Sketchers Work Cankton is a superb pair of boots for those looking for protective footwear with an extra cushioning feel. These boots are just that comfy, you’ll find they even have a wider toe than most, this is perhaps due to their relaxed fit design and memory foam cushioning. Either way, it’s safe to say you’ll be fully supported while wearing these. These boots are also brilliantly designed with a supportive midsole which allows for maximum shock absorption during those long hours at work. Perhaps, our favorite feature about these shoes was the durable rubber outsole which provides for super lug traction and an excellent grip. 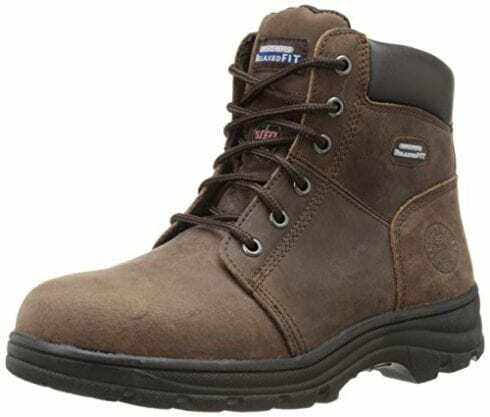 Another great pair of Timberland work boots that we would recommend are these Timberland PRO Men’s 6inch. These boots include slip, oil, and abrasion resistance outsoles for perfect traction as well as padded top collars for comfort. There’s even a comfort suspension technology which helps adhere to even the strictest of workplace regulations. You know you’re getting value for money with these Timberland PRO’s as they’re 100% leather and include a rubber sole, which are the basic material combinations of any good quality boot! We think you’ll definitely feel that extra sense of confidence in yourself and your work when wearing these thanks to their smart and comfortable design. 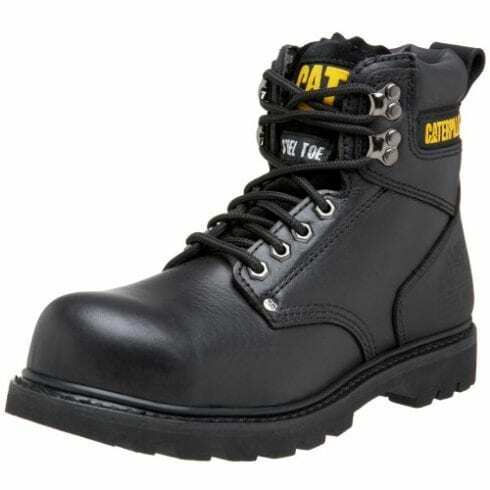 These Caterpillar boots are definitely a staple for those working in heavy manual industries. Thanks to the steel toe work boot and a rugged leather material these Caterpillar books will easily take you to work in severe winters, heavy construction, auto workshops, and pretty much any other place you can think off. This is thanks to the oil resistant rubber sole which helps keeps you stable and comfortable in even the most unpredictable of outdoor settings. 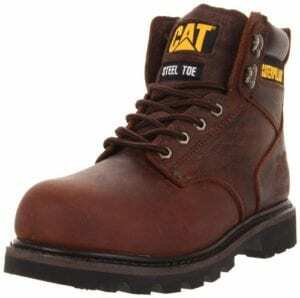 We loved these Caterpillar Men’s Boots as they work great in a commercial demolition setting. We’ve previously tried numerous other steel toe boots, and they never worked as well as these. These Timberland PRO ’s may not look like the classic Timberland’s you’re used to but trust us we are sure you’ll still enjoy every minute of wearing this delightful footwear. Featuring a 100% Nylon material and a synthetic sole these Timberlands help provide ultimate comfort. Don’t be fooled into thinking they’re all comfort and no support with a non-metallic shank you feel supported throughout the day. There’s even a proprietary outsole with a built-in anti-fatigue technology to help give you a spring in your step where ever you roam! One of our favorite features of this work boot featuring a steel toe cap has to be the mesh lining which is spread with antimicrobial treatment which is excellent for odor control. You’ll never have to worry about smelling at work again! 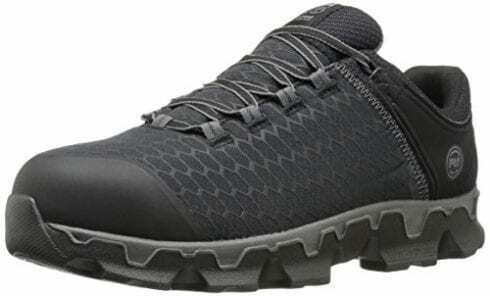 These Skechers are brilliant for those looking for a relaxed fit work boot, but they still have the sturdy and smart feel of a smooth grain leather outer body. These steel toe boots come up perfectly over the ankle to keep your ankle to toe perfectly safe. There’s even a memory foam insole to make sure you’re equally as comfortable as you are protected all day long! 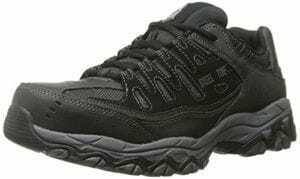 These Skechers are the perfect Fathers Day, Christmas or Birthday present for that special man in your life. We loved these boots because no matter how hard you work, or how long you’re on your feet all day we think you’ll find your legs and feet are cozy and comfortable all day long. Skechers are known for their high-quality footwear, especially when it comes to steel toed work boots, and these boots are no different from the rest! This steel toed-boot features a classic traditional lace-up design with sturdy metal eyelets and a buffalo horse upper leather. You’ll be able to work for up to 12 hours a day 7 days a week (if you’re that productive!) and feel comfortable thanks to the synthetic sole, and oil-resistant outsole which provides you with excellent lug traction. There are even a soft fabric inner boot lining, memory foam sole and relaxed fit which all play a part in giving you maximum comfort! We also love the classic stitching accents and reinforced stitching seam which help you to look classy while wearing these boots. What we liked most about these boots was the fact women could also enjoy the comfort and stability of Sketchers famous work boots in these great steel toed boots! If you're looking for a steel-toed boot which also has the design style of a western inspired rancher the Wolverine Men’s Rancher is a steel cowboy boot you should consider buying! There’s even a removable ortholite cushioned footbed which makes sure your feet stay dry and comfortable all day long. 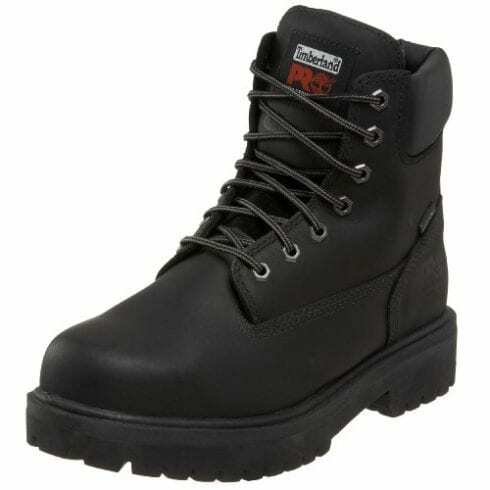 We found these boots fitted at the exact size they say they are, unlike other steel toed boots which usually require you going up a size or two to get the right fit. 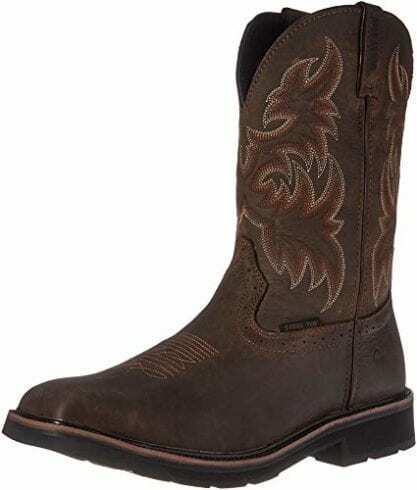 These are great for those looking for a smart Southern classic alternative to the usual steel-toed boots. Without having to give up on the protection the steel toe offers. Wolverine has been a staple of American working men's boots since 1883 they know what gives you the power to get through your day and accomplishes this with their superior materials and their timeless craftsmanship. The Men’s Floorhand model is no different! Featuring a removable full-cushion footbed, you’ll be able to withstand even the worst days at work in these boots! 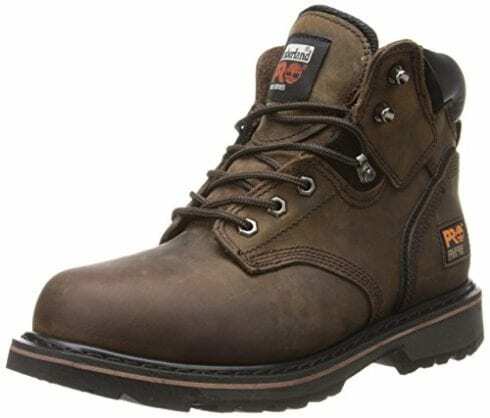 These steel toe boots also come with waterproof full grain leather as well as great traction to avoid hazards on slippery surfaces and keep you safe in them at work. We loved how great these boots were in general, but our favorite feature was their look! For the price, you pay for these boots you don’t have to comprise on style and safety! When buying a new pair of steel toe men’s boots you want to make sure you get the most out of your new shoes. There are three main types of metal that boots consist of this includes steel, alloy, and composite. Composite give excellent protection for lighter jobs but are the least strong out of all the other metal alternatives. Composite metal boots are usually made from a carbon like fiber which allows for the right amount of protection while giving you a lighter feeling when worn, unlike other metal materials. Electricians often wear this type of metal toed boots, in particular, as they don’t have the kind of metal which causes electric shocks. Alloy boots offer solid protection while keeping the lightweight feel of composite toe caps. This is because the alloy is roughly 40% lighter than its steel counterparts. Steel, on the other hand, are the most common metal material for these boots, hence the name steel toe cap. This is because they’re pretty cheap to make yet still offer maximum protection. Although a lot of customers usually complain they can be a bit uncomfortable. There really is something for everyone when it comes to purchasing a new pair of steel-toed boots. For instance, some boots even come with flame resistance, waterproofing, anti-static and cut resistance. Whatever you need your steel toe boots for there’s bound to be something suitable for your day to day needs. The creation of steel toe boots are a brilliant innovation in the shoe industry which can help you stay safe at work or doing other risky activities, but if you don’t have the right fit. Your boots may end up doing more harm than good. It is important to wear proper socks that are designed to be worn under steel toed-boots. There’s no point what so ever spending $200 on steal toe boots and then wearing Walmart $1 socks. The reason it is so important to wear the correct socks is that socks designed for steel-toed boots will have extra protection around the toe where you need it. This firstly helps cushion your toes against the metal, but it also prevents your socks from thinning quicker. If you’re buying steel toe boots chances are your someone who is going to spend a lot of time on their feet. We recommend purchasing a broad toe steel boot if you want a super comfy feeling as you walk around in your new boots. Boots that are broad in shape usually offer a lot more wiggle room for your feet as they swell. And these days there’s a lot of boots featuring new toe cap technology which has all the protection of a steel toe, but it is thinner than the regular weight of a steel toe boot giving you extra comfort. You would think this goes without saying, but there are many times people try to cut the cost of purchasing expensive boots. But if you do this, you are only cheating yourself out of the pure bliss some steel toe boots can offer you. You’ll know the difference when you wear a solid pair of boots. Think about it though, if you wear your boots for work, five times a week for up to 12 hours a day, that’s the equivalent to wearing your boots 24/7 for four months of the year or 0.03 dollars an hour! Shoes are one, if not the most essential item of clothing you will ever own. Your feet are the basis for a good posture, and crucial to keeping your health on point! Although we have mentioned getting wide boots can add extra comfort to your day to day wear and tear of your steel toe boots. It is super important to make sure you get boots which are long enough. For example, if you want a wide toe boot because your feet are rubbing against the sides, you actually need to get a longer pair of boots. You’ll notice the difference. In a longer steel toe boot, you’ll be able to slide your foot further in the shoe, and it will not be as cramped. 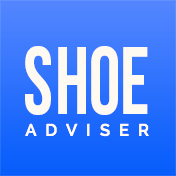 Buy some aftermarket insoles before you purchase your new pair of boots to make sure you get the most out of your steel toe boots. Premium insoles usually cost between 18-30 dollars, but you notice the difference once you’ve tried them. Not only will it provide you with more comfort in your day to day use, but you will also give your boots a longer life – meaning you will get more for your money! Never, ever, ever assume you are the same size in any pair of shoes. But more importantly, never buy your standard size in steel-toed boots because you need at least a half a size larger. Frequently when you buy leather boots, they will stretch over time as you wear your shoes in. Unfortunately, this cannot happen with steel toe boots as they are set metal and will not move to your desired needs. If you want to make sure you’re going to get the best, most extended and comfortable life out of your steel toe boots you need to make sure you are taking proper care of them. Firstly, make sure you waterproof them if they’re not already waterproofed. Most boots do come with waterproof protection, but you’ll still need to add the waterproof protection to them over time. As unfortunately waterproof shoes do not stay water resistant their whole life. While this is highly unlike to happen when you first buy your new shoes, you need to make sure you check your boots leather regularly. Due to the nature of the fact you will be wearing steel-toed boots they can end up becoming cracked and deteriorate over time. If they’re a good quality boot this firstly, will not happen very soon, but if it does happen, you should easily be able to get them repaired by a cobbler. Despite steel-toed boots offering you excellent protection it is essential to make sure you repair them or replace when necessary. There’s nothing worse than wearing old boots, and they won’t be doing your feet any good! And if they’re worth repairing it is best to do it sooner rather than later before they become irreparable. Make sure you keep your shoes as dry as possible. Of course, it is only natural that they may get a little wet while you’re busy at work. BUT if you allow you steel-toed boots to get the tiniest bit damp while you’re around electronics, you’re sure to get an electric shock! Yikes. Steel toed boots can be great at keeping you ready for the day ahead at work but only if you make sure the boots are safe, to begin with. Your new pair of steel toe boots will only help you if you make sure they’re the best quality they can be! Be careful of going through metal detectors with alloy made boots as they tend to set them off. Steel toed boots were invented by a German during World War 2. 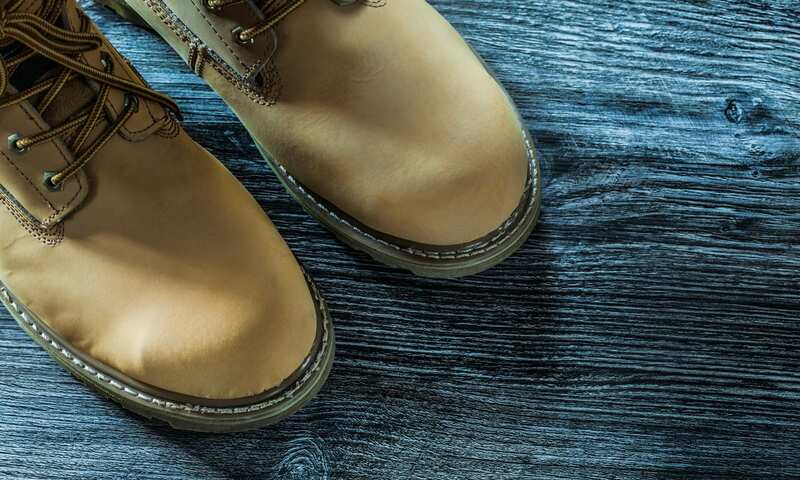 We hope you enjoyed our article on "10 Best Steel Toe Boots in 2019", if so, please share and rate it.